The 501 Teardrop Shape Handcuff Case from Aker is a sturdy, hands-free, belt-mounted carrying solution for a single pair of standard chain handcuffs. 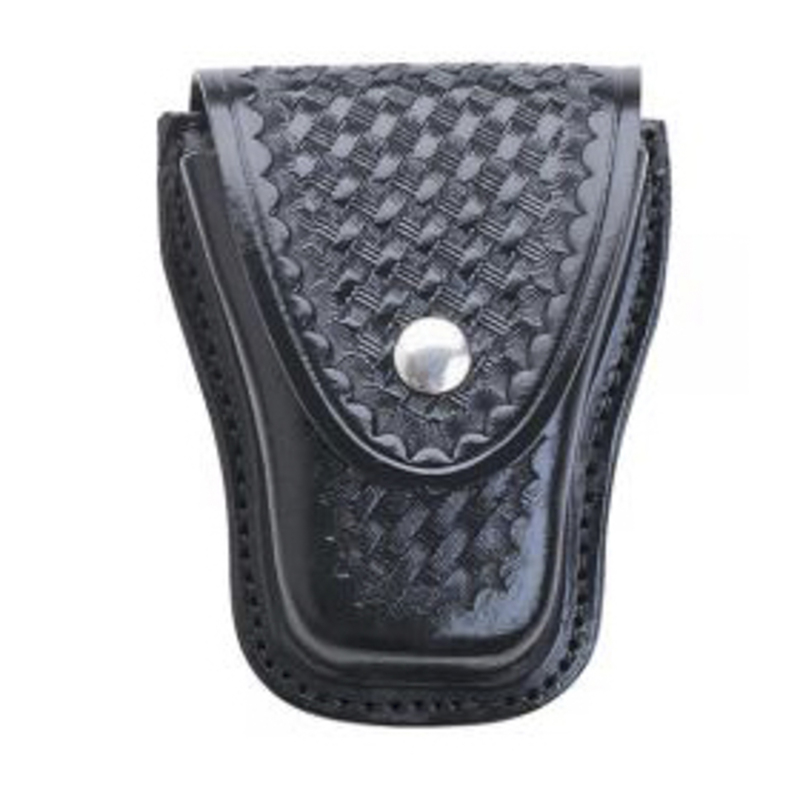 It is made in the United States from premium black cowhide leather, making it highly durable and wear-resistant to withstand the wear and tear of law enforcement use. The full coverage design includes a top flap with a snap fastening, which improves retention while on the move without preventing quick access to your cuffs when needed. The fixed belt loop on the rear of the case fits a belt up to 2.25 inches wide, providing secure and convenient waist-level carry.